I Heart Mac & Cheese, a fast-casual concept specializing in customizable, made-to-order macaroni and cheese bowls, grilled cheese sandwiches and specialty salads, today announced the signing of a 23-store development agreement with franchise group Manor 3. All 23 locations will open in Long Island, New York, significantly expanding the brand’s presence across New York state. Nine locations will open within the first three years; three this year, an additional four next year, and two locations will open in 2021. “This agreement is monumental for the I Heart Mac & Cheese brand and we believe we have found the perfect partners to build our presence in New York, with Manor 3. While our concept is perfect for any aspiring entrepreneur, not requiring restaurant-specific experience, the opportunity to collaborate with seasoned restaurant franchise owners with built-in local connections will let us deliver an exceptional experience to a new base of customers,” said Stephen Giordanella, I Heart Mac & Cheese CEO and Chairman. Manor 3 is led by seasoned restaurant franchise operator Vinny Greco and his partner, Dan Dollard. Greco spent 25 years as the assistant equipment manager with the New York Mets before transitioning his career into the restaurant industry, so that he could spend more time with his family. For the past decade, he has owned and operated two Hurricane Grill and Wings locations in Long Island. I Heart Mac & Cheese is well-known for custom, build-your-own macaroni and cheese bowls, grilled cheese sandwiches and salads. Guests select a pasta, bread, or salad base along with seven different proteins, vegetables, and cheeses. Gluten-free options are also available. In addition to customized options, the menu contains specialty chef items including Baked Chicken Parmesan, Baked Meatball Parmesan, The Cuban, Pepperoni Pizza, and Lobster & White Truffle Mac, among others. Side dishes include Cheesy Broccoli, Balsamic Tomatoes and Tomato Soup; desserts include Mini Chocolate Chip Cookies, Brownies, Marshmallow Treats and Caramel Cookies. A unique franchise concept in the restaurant industry with no fryers, grease trap systems or hood systems, I Heart Mac & Cheese requires a low investment and can be opened in a small space, such as a mall kiosk or food court. Shopping malls, sports venues, areas close to colleges and universities, and high-traffic pedestrian areas are also ideal locations. 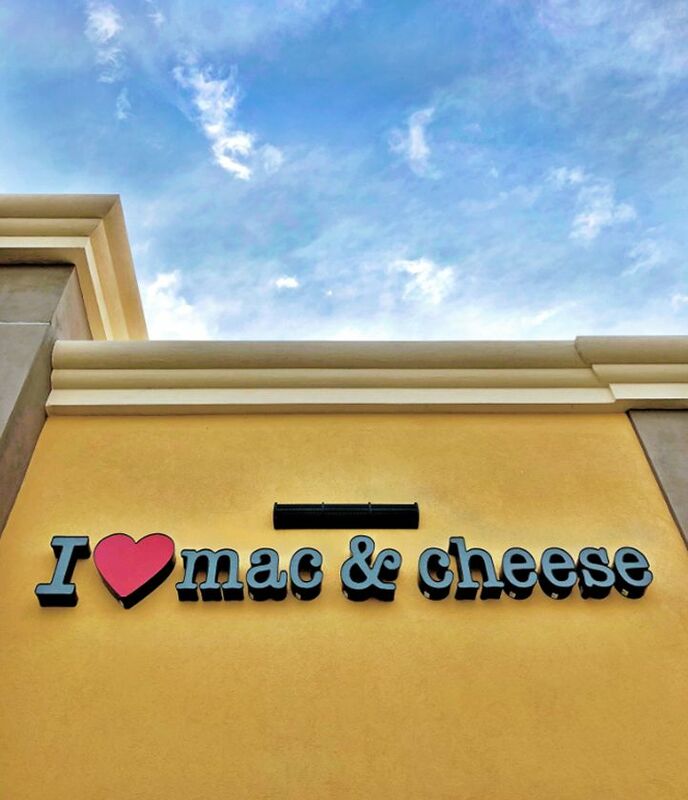 With a home office in South Florida, I Heart Mac & Cheese offers franchise owner training, marketing support and ongoing development opportunities to ensure each location’s success. For more information on I Heart Mac & Cheese visit iheartmacandcheese.com. For more information on franchise opportunities, visit iheartmacandcheese.com/franchise/ or call 561-300-5343. I Heart Mac & Cheese is a fast-casual concept specializing in customizable, made-to-order macaroni and cheese bowls, grilled cheese sandwiches and salads. The menu combines award-winning recipes resulting in a grown-up approach to this classic childhood dish. The first location opened in 2016 in Fort Lauderdale. South Florida locations include Parkland, Pembroke Pines, Davie, Jupiter, Coral Springs and Boca Raton. Additional corporate locations are slated to open in New York, Florida, Georgia and South Carolina. In 2017, the company launched its franchising program nationwide.